In the week that Scottish poet Don Paterson won the Costa Book Award for poetry for his collection 40 sonnets, we are pleased to announce this year’s Callum Macdonald Memorial Award. In fact the entries have started to come in already. The Callum Macdonald Memorial Award celebrates Scottish pamphlet poetry and rewards the publisher rather than the poet of an outstanding pamphlet in this vibrant form. The award was established in 2001 in memory of Callum Macdonald MBE, the Scottish literary publisher, by his widow the poet and founder of the Scottish Poetry Library, Tessa Ransford OBE. It is funded by the Michael Marks Charitable Trust and is managed by the National Library of Scotland. Tessa Ransford, who led our CMMA advisory committee, was an energetic force for poetry in Scotland. She died in September 2015, and will be much missed. Every year we invite entries of poetry pamphlets published in the previous calendar year. Most of them come from Scotland, but we also welcome pamphlets from outside the country with a Scottish connection. Last year’s winner – of remarkably both the first and second prizes – was Edinburgh-based Mariscat Press, represented by Hamish Whyte. 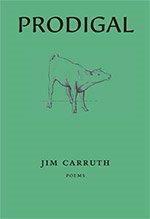 The distinguished poet Jim Carruth, whose pamphlet Prodigal was the top winner, received as a prize a two week stay in Greece as poet in residence with Harvard University’s Centre for Hellenic Studies. Full guidelines and application details are available here Callum Macdonald Memorial Award . Entries will be accepted until 17 March, and the winners will be announced at a ceremony in May.